Your $10, $20, $50, $100 or other donation amount of your choice helps keep our Green Visions program growing. You can choose to make a single donation or to become a monthly, quarterly or annual supporting donor as well. 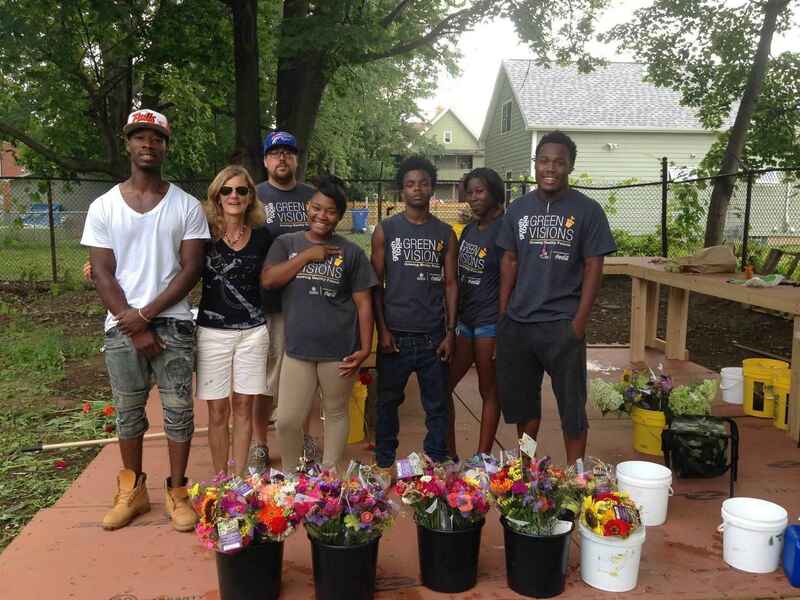 Your gift goes directly to fund Green Visions initiatives and programs, helping to privde training and development for 22 Youth from the city's Northwest neighborhood every summer. Come down this summer to our flower lots at Smith & Whitney and watch your dollars at work!